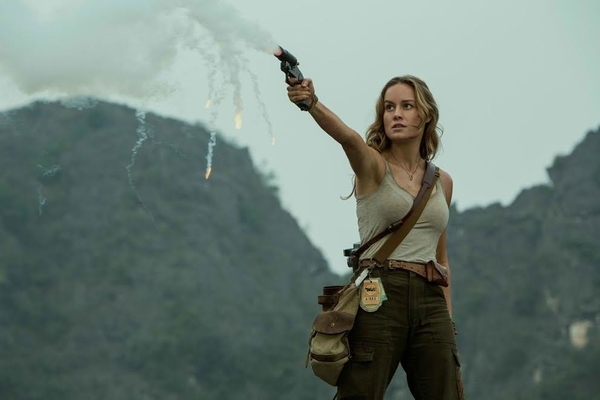 Brie Larson Channels Her Inner Action Hero in "Kong: Skull Island"
Oscar Best Actress-winner for 2015’s Room, Brie Larson now stars as Vietnam War photojournalist Mason Weaver in Warner Bros. Pictures and Legendary Pictures' Kong: Skull Island, an epic action-adventure that reimagines the origins of one the most powerful monster myths of all. A compelling, original tale from director Jordan Vogt-Roberts, the film tells the story of a diverse team of scientists, soldiers and adventurers uniting to explore a mythical, uncharted island in the Pacific, as dangerous as it is beautiful. Cut off from everything they know, the team ventures into the domain of the mighty Kong, igniting the ultimate battle between man and nature. 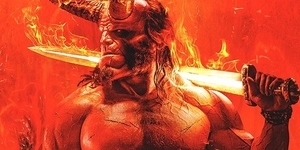 As their mission of discovery becomes one of survival, they must fight to escape a primal Eden in which humanity does not belong. Larson’s Mason Weaver is a street-smart investigative photojournalist and self-described “anti-war photographer” who has seen the monster of humanity at war. Her suspicions sparked, Weaver’s curiosity about the mission’s true purpose drives her to maneuver her way onboard as team photographer. 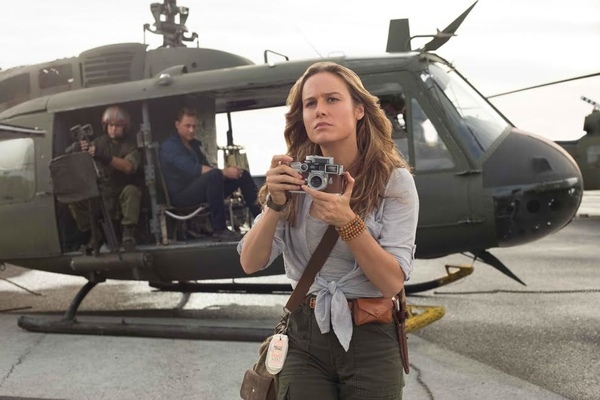 But once they cross over onto Skull Island, she is plunged into the biggest story of her life – one that will confront all her journalistic instincts and ethics. Portraying her role, Larson appreciated the opportunity to channel her inner action hero. “This is a far more physical role than anything I’ve done before, and it’s great to be able to utilize my physicality in a new way,” she says. Warner Bros. Pictures and Legendary Pictures Present a Legendary Pictures Production, “Kong: Skull Island.” The film will be released in the Philippines in 2D, 3D in select theatres, and IMAX beginning Thursday, March 9, 2017, from Warner Bros. Pictures, a Warner Bros. Entertainment Company. Here's the Character Guide to "Kong: Skull Island"